Change your Ultramicrotome Leica EM UC6 or Leica EM UC7 to a Cryoultramicrotome within minutes by mounting the Cryochamber Leica EM FC7 and prepare your cryo-sections ( -15° to -185°C) for TEM,SEM, AFM and LM. 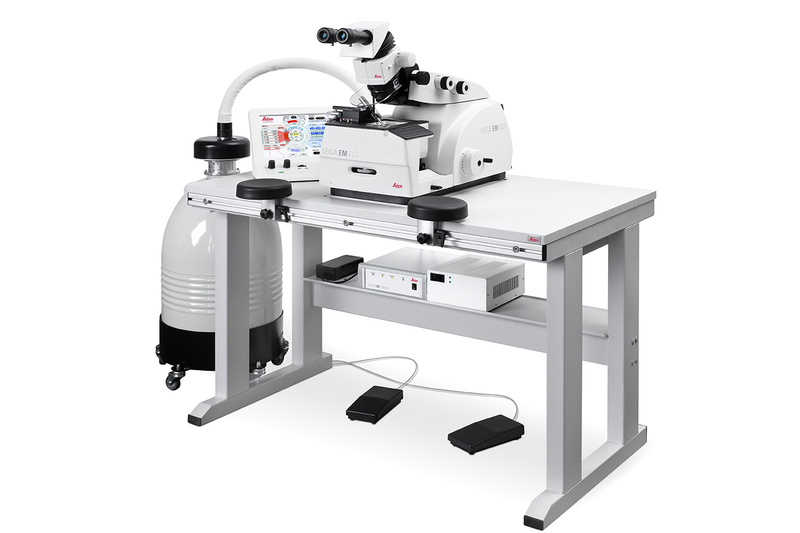 Combining ergonomic design and innovative technology the Ultramicrotome Leica EM FC7 sets new standards in Ultramicrotomy. It offers a range of outstanding features and benefits of use for the ultramicrotomist, whether highly skilled or absolute beginners.